When it comes to festivals of all shapes, kinds and sizes, Cheltenham takes the cake. Cheltenham is the official festivals capital in the UK – and with the perfect reason: Cheltenham is a beautiful quaint little town with all the complete amenities imaginable – hotels, motels and inns to stay in, parks and amenities anyone could imagine, and hundreds of places to eat: delis, high end restaurants, and all places you can think of. And the best thing about Cheltenham is the weather: the sun is always out in Cheltenham. Which is why it’s unsurprising that it has, through the years, become the home to some of the most attended festivals in the UK. 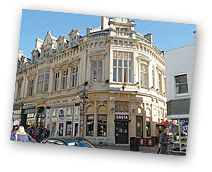 The Cheltenham Jazz Festival – The perfect festival for anyone who loves jazz, or even just music in general. In the time when people say Jazz is dead but La La Land opened back the world’s interest in this music, this genre of music remains as vibrant as ever in the annual Cheltenham Jazz Festival. Now on its 22nd year, the Cheltenham Jazz Festival celebrates the past, the present and the future of this beloved music genre and is attended by thousands of people every year. The Cheltenham Science Festival – This is the perfect festival for every family, young and old, if they are all willing to learn. Held during the first to second weeks of June every year, the Cheltenham Science Festival celebrates the advancements in science and technology in a fun and exciting manner that’s perfect not only for families and children but also to young professionals and students who are into science, robotics, engineering and technology. Discover how our brains think by delving into the science of emotions, sound and even music to fully understand how we function as individuals! The Cheltenham Literature Festival – The perfect festival for booklovers everywhere, the annual Cheltenham Literature Festival is held every 6th – 15th of October every year. This festival gathers the world’s best writers and thinkers from across the world to Cheltenham. These festivals gather thousands of people from across UK – good thing accommodations are plenty and of high quality along Cheltenham. Call The Promenade Apartments to reserve your festival dates accommodations today!